Bangladesh’s Jamaat-e-Islami party has enforced a dawn-to-dusk strike in protest against the execution of its Secretary General Ali Ahsan Mohammad Mojaheed. 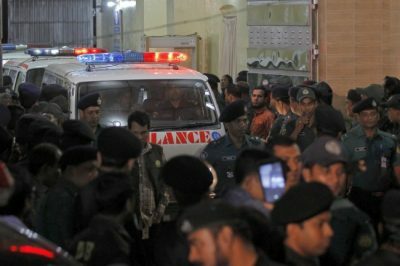 Hours after the execution of the influential party leader on early Sunday, in a press release Jamaat called the nationwide strike which ended without any major incident. Ali Ahsan Mohammad Mojaheed, secretary general of the Bangladesh Jamaat-e-Islami party, and Salauddin Quader Chowdhury, a leader of ex-Prime Minister Khaleda Zia‘s Bangladesh Nationalist Party (BNP), were hanged together simultaneously in Dhaka Central Jail for war crimes in 1971 on Sunday. Due to the strike, security measures were tightened in Dhaka and elsewhere in the country. As almost no activities of pro-strike activists were visible in Dhaka, traffic on the city streets was relatively normal.